The legendary London club is back in business under stricter security measures. Fabric opened its doors last night (January 6) for the first time since a police crackdown on drug-related deaths forced its closure last September. Clubbers were greeted by tough new security policies, with pat-down searches on entry and signs outside flagging up the club’s zero-tolerance approach to drugs. A new welfare area was also set up inside the club. In Room 1 the club thanked fans for their support with a huge banner declaring “#yousavedfabric”. The line-up, which had been kept a secret until the night, stayed true to the traditional Friday night selection at Fabriclive with drum and bass and grime from Chase and Status, Dillinja, Metrik, Logan Sama, Sir Spyro and Chimpo. The club has stated that Fabriclive will be cut to a monthly slot from now on, however. The club’s closure came after two 18-year-olds died after taking drugs on the premises last year. 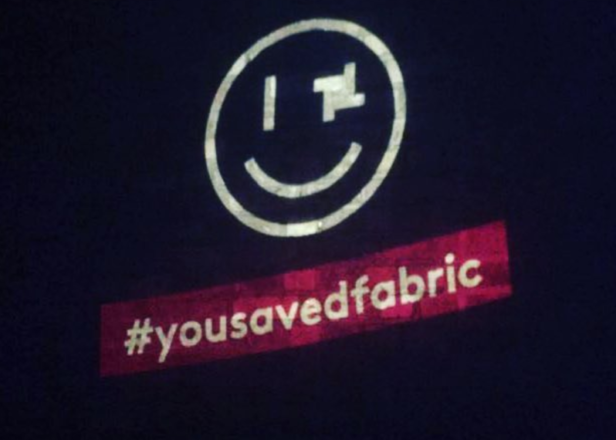 The police accused the venue of allowing a “culture of drug use” and took away its licence, which Fabric supporters responded to with a huge campaign to #savefabric, raising over £300,000 to pay the club’s legal fees. Fabric reached an out-of-court agreement with Islington Council and the Metropolitan Police in November but was forced to take on stricter security policies to combat drug use at the venue. Watch Bigger Than Fabric, a documentary taking the pulse of London club culture.